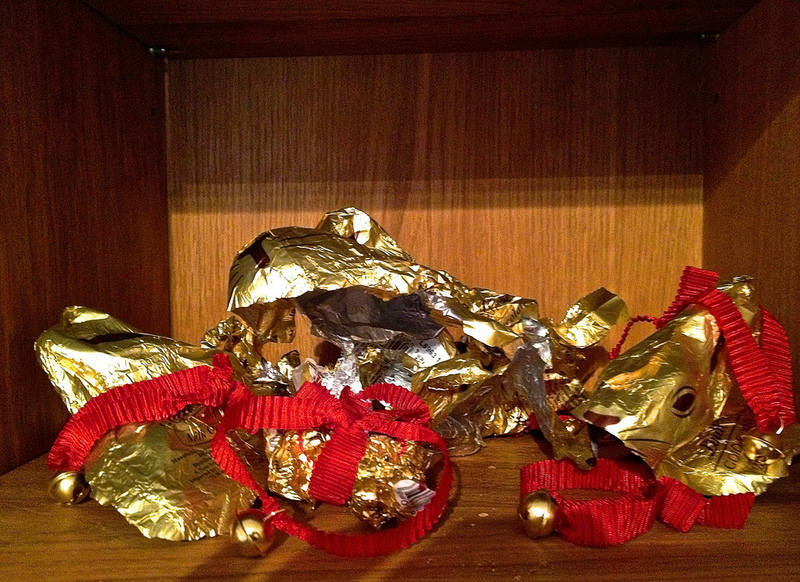 Speculation grows as to the disappearance of the Magellan Lindt Chocolate Bunnies. This close family grouping of 25 rabbits has just vanished, leaving in their wake a thin skin of gold foil (some still bearing their imprint) and red collars with tiny bells. Detectives admit to being baffled although sources say that suspicion is growing that this could be an inside job. What do you all think? Hope your Easter was everything you wished from it. Welcome to Spring 2013! 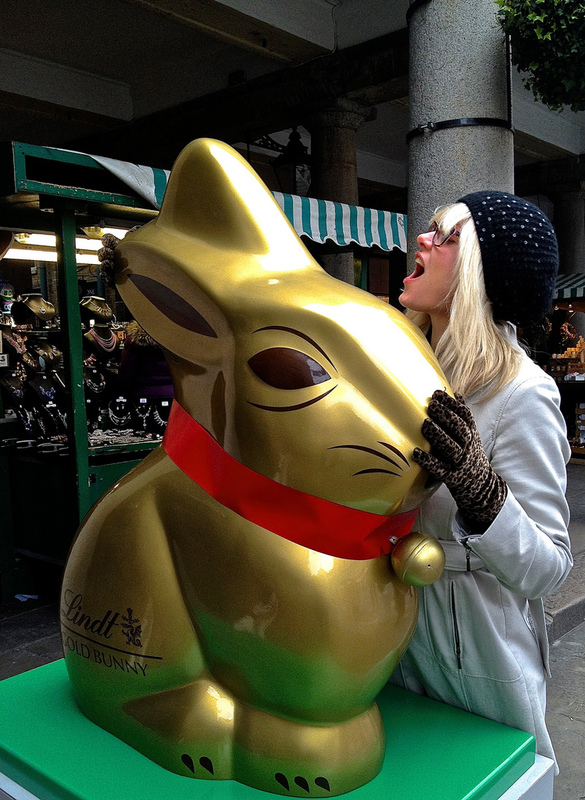 NEWSFLASH: Magellan security, part time sleuth and “The Treat Detective, The Hound (of The Basketcases), acting on “intel”, apprehended the suspect in Covent Garden acting suspiciously with the mother of all Lindt chocolate bunnies. Gotcha!